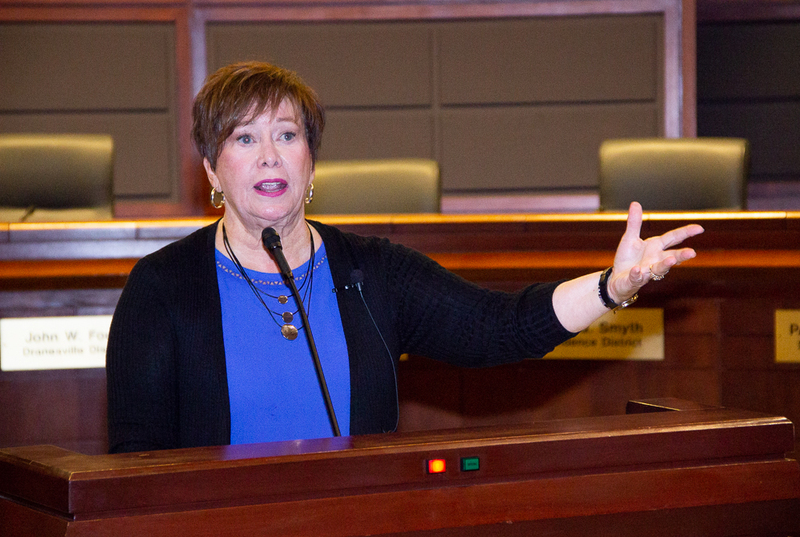 The Annual School Readiness Symposium is a unique daylong educational forum for early childhood educators across Fairfax County. Topics presented have included literacy, science and math, the arts, play and nature. The symposium is cosponsored by Fairfax Futures, the Fairfax County Office for Children and the Fairfax County Public Schools. 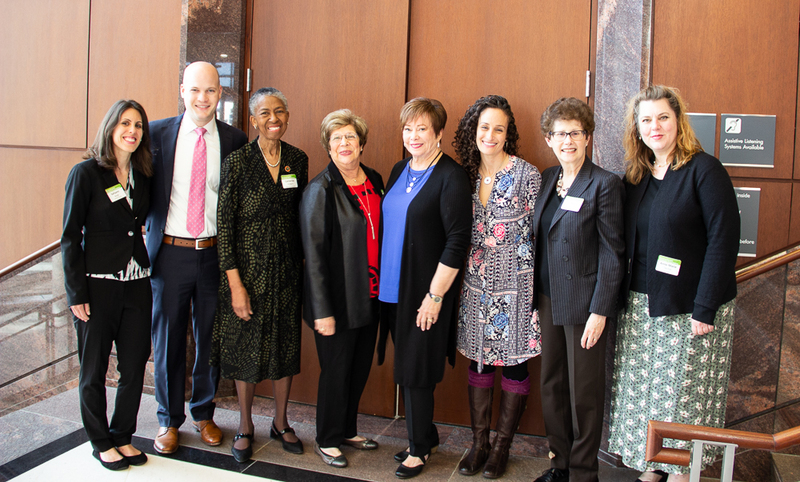 On April 21, 2018, over 200 Fairfax County early childhood educators participated in Fairfax Futures’ 14th Annual School Readiness Symposium: Nurturing Creative Thinking in Young Children. Participants were welcomed by Sup. Cathy Hudgins and keynote speaker Dr. Rebecca Isbell, an early childhood consultant, speaker and author from East Tennessee State University, introduced key strategies and practical tools to help inspire and nurture creative thinking in preschool-aged children. This year’s workshop presenters included Wolf Trap Institute for Early Learning teaching artists, Kofi Dennis and Maria Tripodi; Lisa Mufson Bresson, co-author of NAEYC’s bestselling book, “Big Questions for Young Minds: Extending Children’s Creative Thinking; and the Office for Children’s Institute for Early Learning (IFEL) team. Dennis taught a West African rhythmic call and response classroom management strategy. Through simple beats to recognized children’s songs, participants learned how they could incorporate listening skills, self-regulation, movement patterns, clapping sequences and following directions in care settings. 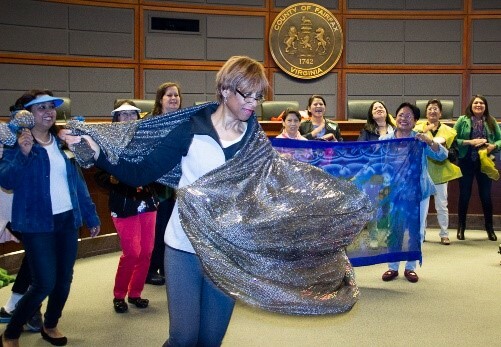 Switching between English and Spanish throughout her session, Tripodi introduced educators to basic dance concepts, music and literature to inspire creative movement and language. Bresson showcased the use of recycled materials to help educators explore creativity with children and how to process thoughts through high-level and open-ended questions. Lastly, the IFEL team rounded out the symposium in their “Let’s Make Music” workshop where educators stretched their creativity by using everyday objects to build simple musical instruments. The session demonstrated how creativity in music influences positive brain development. This professional development opportunity was made possible through a generous grant from the PNC Foundation and in partnership with Fairfax County Public Schools and Fairfax County Office for Children. Keynote speaker, Dr. Rebecca Isbell, invigorated the audience with her passionate speech on inspiring young creative thinkers. Participants engaged in the song Rainbow Fish by using musical instruments, voice and colorful props. "Aside from making new friends every year, I am always inspired and keen to get back to my school and share."